The Major League Baseball season may be over, but there’s no right or wrong time to be playing sports titles. 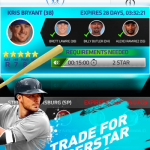 If you find games like Sony’s MLB: The Show series too intense, you’ll probably want to check out Glu’s Tap Sports Baseball. The game comes absolutely free, and if you’re thinking this is the kind of game that’s just about as casual as those early baseball video games from decades past, you’d be mistaken. 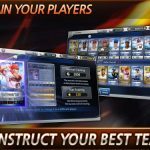 Tap Sports Baseball includes real players, real stats and real gameplay, which is as easy as tapping to swing or bunt. It’s a relatively complex, immersive experience for all types of baseball fans and we have some Tap Sports Baseball tips that can help you on the field as a player and on the bench as a manager. 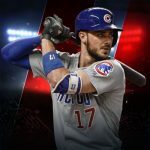 Of course, there are limitations to Tap Sports Baseball, it being a mobile game, and that’s the fact that pitching, fielding, and running are all done by the game’s AI. That leaves batting as the only thing you can do as a player, and the most basic tip we can give you is to focus on the ball. Every pitcher has their own style of pitching or preferred type of pitch, so keep that in mind, focus on the ball, and preferably tap only when the ball is over the plate. Swinging at everything is like the old saying, where people throw stuff at a wall and see what sticks. That’s not going to help your batting average, and it won’t help either if you swing when the count is 3-0. That’s three balls, no strikes for those who aren’t familiar with the rules, and once the pitcher throws a fourth ball, you’ve earned yourself a free pass to first base – a walk, in baseball terminology. 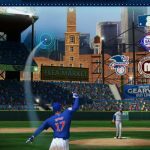 Compared to real life, the curveballs in Tap Sports Baseball are a bit on the wild side. That’s what makes the first tip more important than ever when you’ve got a pitcher who likes to throw curveballs. Sometimes it may be best not to swing and hope for a ball if you’re just starting out and dealing with a curveball-happy pitcher. If you’ve got men on base and one of them has a high speed rating, have him steal a base. And if you’re in a tight game and you’ve got a weak hitter on the plate (usually the pitcher in National League play), sub him for a pinch hitter. You may have hitters who can’t be trusted to hit home runs nor make contact with the ball at a high batting average. In case you’ve got a runner at first base, you can have these players bunt so that you can advance your man to second base. You’ll be informed of your pitchers’ status at the top of each inning. Once you notice your starting pitcher is tired, send in a reliever, as tired pitchers tend to play poorly, just as they do in real life.